Parental Guidance & Discretion. Recommended for ages 16 & up. Children under the age of 4 are not allowed into the theatre. 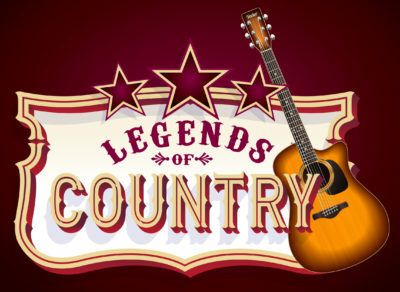 Fresh off the success of Legends of Rock ‘n’ Roll and due to popular demand, Stage West presents Legends of Country! The quintessentially rural sound of the American south has roots reaching back as far as the 1920s, having been officially recognized by the US Congress as being “born” in Bristol, Tennessee. This expedition through the music of the working class runs through the ‘60s all the way to the 2000s, taking stops along the way with the classic Buck Owens, the soulful Kenny Rogers, the sultry Dolly Parton, the eclectic Dwight Yoakam, the innovative Trisha Yearwood, and the electrifying Garth Brooks. Pack up the steel guitar, the country fiddle, and the vocal twang as we take a ride with the Legends of Country.